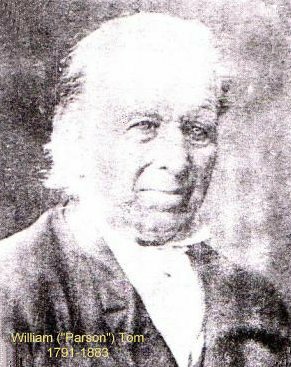 William Tom, Excise officer, Farmer, Miner and Wesleyan lay preacher, was born on 25 May 1791 in Blisland, Cornwall, on the edge of Bodmin Moor, and was baptised on 12 Jun 1791. 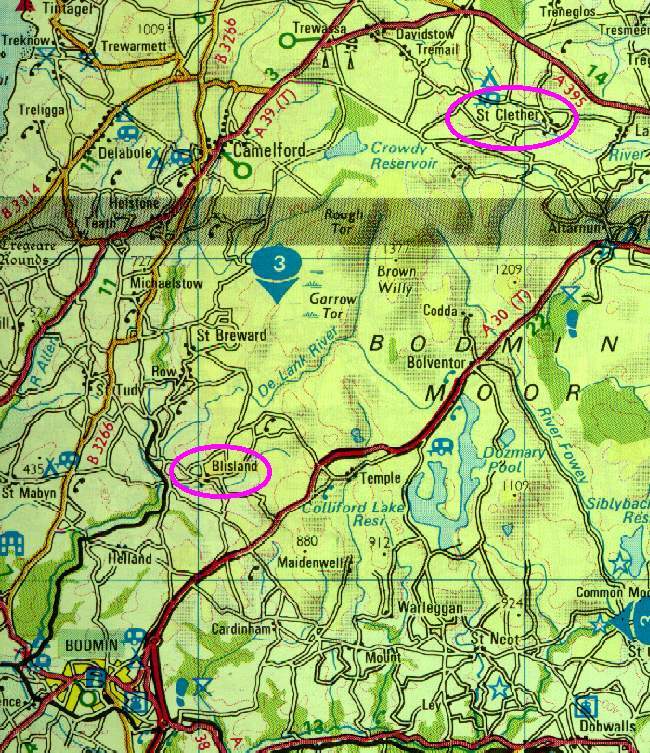 On 31 Dec 1817 in St. Clether Parish (9 miles - 15 km - as the crow flies across the moor from Blisland), he married Ann Lane (1796-1870), who had been born in Bridgerule, near Holsworthy, in Devon. William Tom and Ann had 13 children: three of these were born in Cornwall; one at sea before their arrival in New South Wales in 1823; and nine in the Bathurst district of N.S.W. 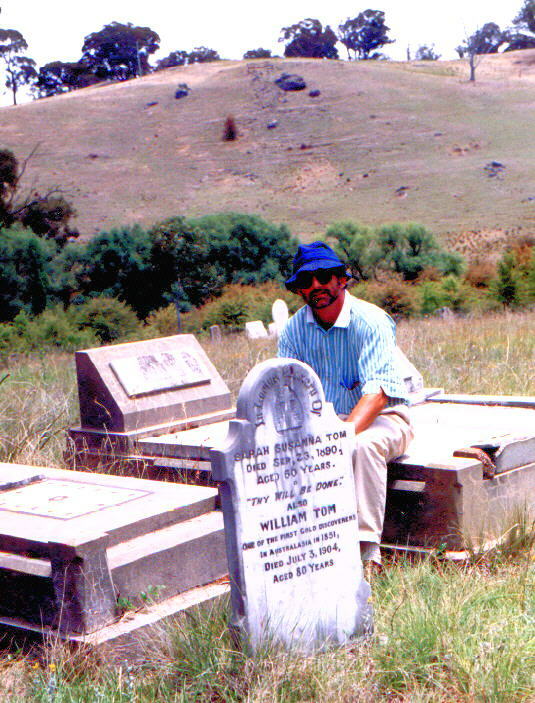 William Tom died on 28 September 1883, at the age of 92, at his property "Springfield", near Orange N.S.W., and is buried in the nearby Byng cemetery. On his death certificate, his occupation is given as "Gentleman" (this presumably means "retired"). He died of "old age". Ralph Tome (sic), the author's great-great-great-great-great-great-great-great-great-grandfather, was born in Blisland in 1618. To put this in context, this was in the reign of James I, just seven years after publication of the King James Bible. Shakespeare had died two years earlier. William ("Parson") Tom, who broke the mould by emigrating, was no. 4. 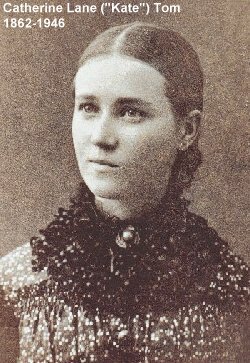 Ann b. 1796 m. William Tom, emigrated to Australia [see main story]. To a grandson, William Tom recounted that he had been in the "Excise Service" in Cornwall, but he came of farming stock. (He was a strongly-built man, said to be 180 cm [5'11"] tall, well above average for the times.) Economic conditions in England at the time were very harsh and, with his young and growing family, daughter Mary (4 years) and sons John (3) and James (2), William Tom set out for Australia in 1823, at the age of 32. His wife would have been about 27. The ship on which they were travelling, the Belinda, was wrecked in a tempest in Storm Bay, Tasmania, near the mouth of the Derwent. It is said the Captain knew that William Tom was a deeply religious man and told him of the plight of the vessel, drifting with two lifeboats gone, both masts, rudder and the cook's deckhouse smashed; Tom went below to pray. The wind is said to have changed direction soon after and sent the vessel into the mouth of the Derwent River. Thus saved, as they believed, by the Providence of God, the family transferred to the Jupiter to continue their journey to Sydney. The Jupiter had arrived in Hobart on 6 November; she sailed for Port Jackson on 16 November. During the five day trip, Ann bore another son, William Tom Junior. 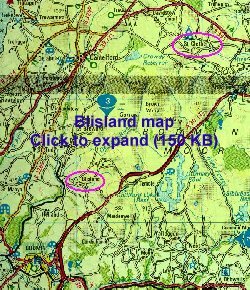 In latitude 42' South, off the Island of St. Paul's, the brig Belinda experienced a most tremendous gale of wind, in which she lost both her masts, all the boats on deck, and the caboose. Two seamen and a boy, named John Grunner, William Ramsay, and Joseph Noel, were washed overboard at the same time, and unfortunately drowned. In the caboose, the cook was also swept off the deck, but luckily saved by holding on to the caboose. SHIP NEWS�On Tuesday last arrived from England and Hobart Town, the ship Jupiter, Captain Park. She sailed from London the 2d of June, and called at the Cape, which she left on the 18th of September; and sailed from Hobart Town on the 18th instant. She brings a number of women and families who have been kindly sent out by Government to join their relatives in these Colonies; together with 12 females from the Guardian Society; and 15 pensioned non-commissioned officers and soldiers of the Roval Artillery, to occupy the situations of superintendents, &c. in New South Wales and Van Diemen's Land. Surgeon Superintendent: Dr. Walker, R. N.
SHIP NEWS.-On Monday last arrived from England and Hobart Town, the brig Belinda, Captain Coverdale. This vessel, it may be recollected, made the latter Port some few months back, in a dismasted and otherwise wrecked condition. Her cargo comprises sundries, Passengers, from England and Hobart Town, Mr. Edward Lee, Supercargo; Mr. Edward Spark and family; Mr. Crook, Mr. J. Harpur, Mr. Wm. Lundin, Mr. James Kiernan, Miss Mary Hosking, Master W. Hutchinson, and Ann Jamieson and child. The Toms crossed the Blue Mountains in a bullock dray. The General Muster List of NSW of 1823/24/25 (a kind of compendium census) shows William Tomm (sic) (CF="came free", Jupiter 1823) employed by Mr Hassall in the Bathurst district. His wife Ann and five children are also recorded. 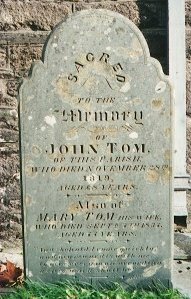 In the 1828 census, we find William Toms (sic), 37, CF Jupiter 1823, P (=Protestant), Farmer at Sidmouth Vy, Bathurst, with his wife Ann, 32, and children Mary 10, John 8, James 6, William 4, Thomas 3 and Henry 1. 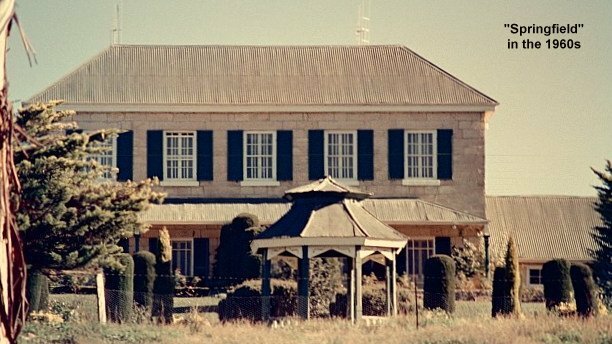 The family worked a 680-acre selection on the southern bank of the Fish River at Tarana, between Lithgow and Bathurst. The low-lying land turned out to be unsuitable for sheep, large numbers of which succumbed to foot-rot, but the family struggled on for some six years. 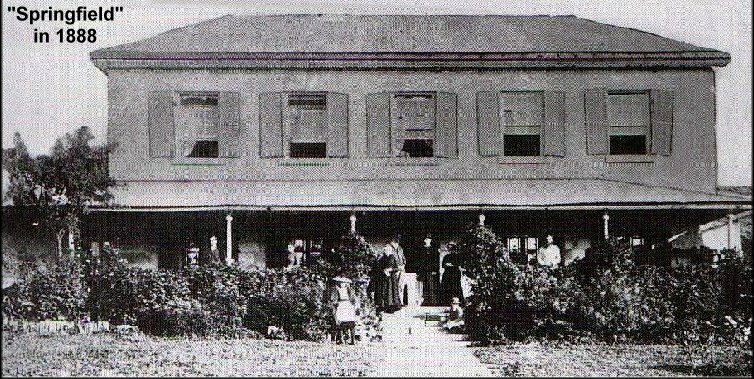 "Parson" Tom's first home, "old Springfield", was a simple wattle-and-daub structure with five rooms, and has now disappeared, but the "new" homestead, built of local sandstone in 1847-54, presumably with convict labour, is still in fine condition. The family's pipe organ was recently traced and repurchased by his descendants for the Orange District Historical Society. It was around this organ in the parlour of the Springfield homestead about 150 years ago that William Tom, his wife Ann and their 13 children gathered for their nightly session of hymns. It is said that William would pump the pedals enthusiastically and lead the singing in his strong resonant voice. The problem was that William did not always stick to the right key and his wife would make a quiet protest that he was putting them all out. The story goes on to record that William would invariably reply: "Well, my dear, I must praise the Lord and thank Him for all our blessings". 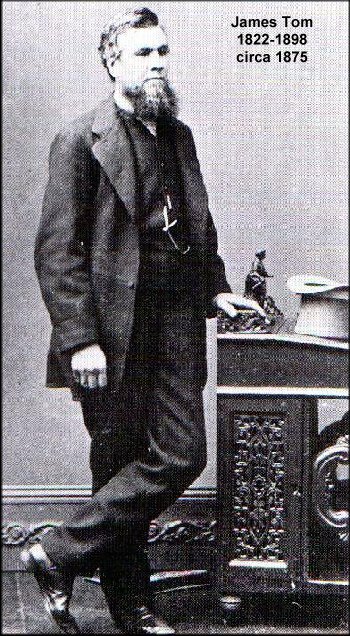 Parson Tom was a lay Wesleyan preacher; he preached to local copper miners from "Bethel Rock" on his property, until a small church was built in May 1842. A plaque on Bethel Rock proclaims this to have been the first church west of Bathurst; its foundations are still visible just across the road from Bookannon homestead. A sign on the "new" church says it was erected in 1872 to replace the 1840 (!?) Wesleyan chapel built 800 metres to its NE. Another plaque on Bethel Rock, entitled "The Cornish Settlement 1829", indicates the old homesteads "Springfield", "Bookannon" and "Pendarves", as well as directions to Bathurst (20 miles), Orange (10 miles) and Ophir (12 miles). Other notable names in the settlement, besides Tom, were Glasson and Hawke. The graves of "Parson" Tom's relatives are still in quite good condition in the cemetery across the road from the "new" church. "Parson" Tom had 13 children, as shown in the table. The comments in inverted commas are those of James Tom, eldest son of John Tom, eldest son of "Parson" Tom. Had 3 children 8 Dec 1872 - "A real Australian girl"
The author at the grave of William Tom Jr, "Gold Discoverer", in Byng cemetery, N.S.W. "Bethel Rock" is on the hill in the background. Further information about the Tom family is available on the website of the Cornish Association of New South Wales. See also John Rule's text in The Cradle of a Nation. As can be seen from the above table, two Tom brothers, John and Thomas, married two Elder sisters, Ann and "Minor", respectively. 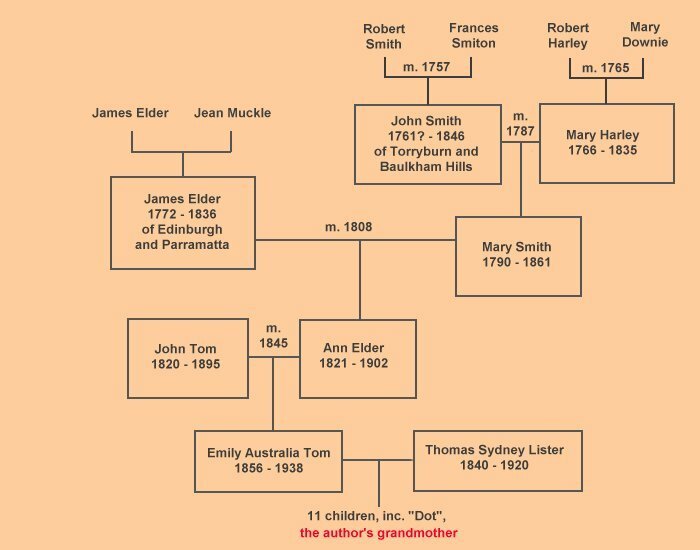 Ann Elder the author's great-great-grandmother was the daughter of James Elder and Mary Smith, as shown in the diagram below. She was the eighth of Mary's 12 children. The colourful stories of the Elder and Smith families are told on separate pages. 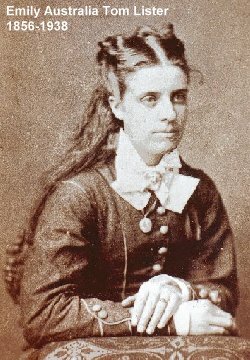 Ann Elder, was born at "Elder House", Parramatta, on 27 June 1821, was married to John Tom on 25 March 1845 at St. John's, Parramatta by her brother John, brought up a family of seven children in country NSW, and died on 7 November 1902. In retirement, they lived at 32 Day Street, Marrickville - an old Sydney suburb. This is where they were when their son Sid went off to the Great War. Thomas Lister died in May 1920. Emily subsequently lived in Orange with her sisters but, to escape the cold, wintered with the Crawshaws in Thirroul. Her death is recorded at Clinton St., Orange, in June 1938.